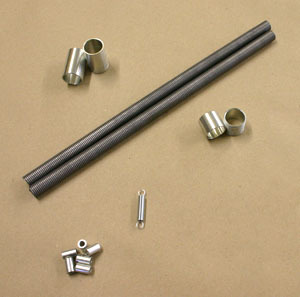 Sonex scratch builders may purchase the Sonex Bushing and Spring Kit, which includes several difficult-to-find hardware items required to build the Sonex. The Sonex ST Center Control Flap Spring is also availble as an option. This spring keeps proper tension between the flap handle and the flap handle detents in the "Sport Trainer" center control configuration.